The highly prized tonic mushroom, referred to as the King of the Medicinal Mushrooms has long been used in traditional Siberian, Korean, Chinese, North European and Scandinavian herbalism. The highly prized tonic mushroom, referred to as the King of the Medicinal Mushrooms has long been used in traditional Siberian, Korean, Chinese, North European and Scandinavian herbalism. It is found growing wild in old forests throughout the colder regions of Northern Asia and Northern Europe. 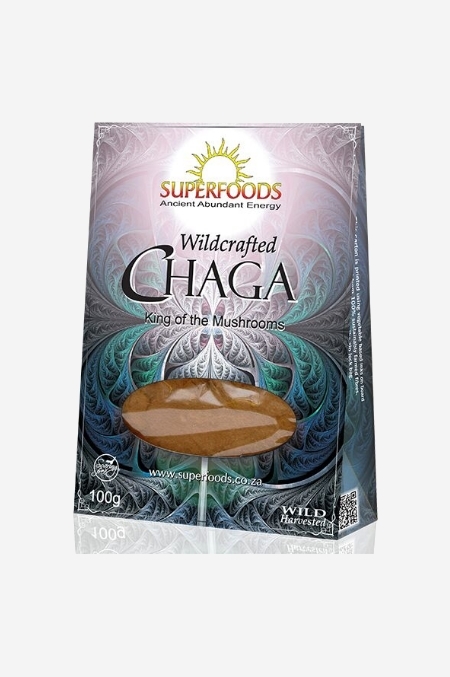 Chaga powder is traditionally made into tea, use 1-2 teaspoons per person added to hot water and then strained to make a rich, dark, coffee like drink. It can also just be added to superfood smoothies or chocolates. For tonic effects, daily use is recommended.